Horses and ponies competing under certain rules or governing societies are required to have an official height measurement. 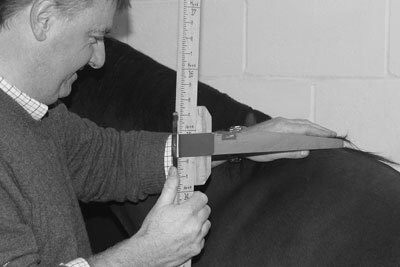 The Joint Measuring Board (JMB) was established in 1934 to run a national scheme for the measurement of the height of horses and ponies for the purpose of description and classification of horses and ponies for competition. 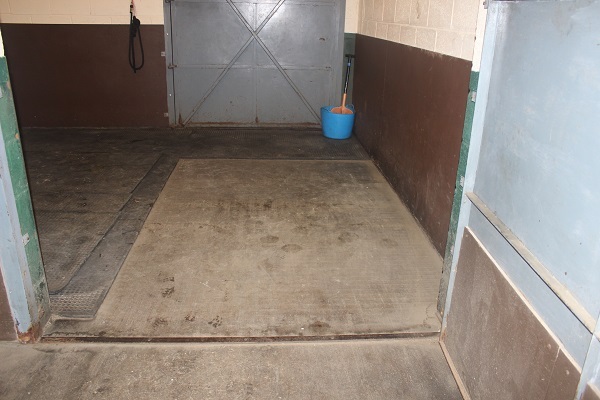 In order to receive a height certificate a horse or pony must be measured by a certified veterinary surgeon, under the direction of the JMB and must be conducted on a certified ‘pad’ which we have here at the clinic. Ben Mayes is on the panel of Official Measurers of the JMB. Annual height certificates run from 1st January to 31st December and are issued to horses aged between 4 and 7 years old. Life (or Full) height certificates will be issued to horses and ponies over 7 years that have previously held an annual certificate. The measurer for a full certificate must be from a different practice from the measurer of the last annual certificate. 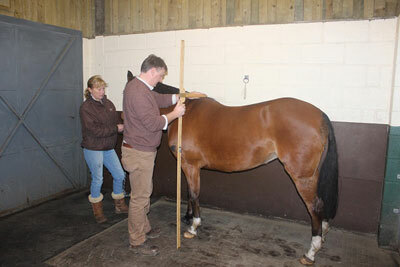 Horses and ponies being measured should arrive at the clinic in good condition and in a calm state. If your horse or pony does not travel well or is excitable you should aim to arrive early at the clinic in order to give it time to settle down. Shoes should be removed prior to the measurement and the feet should be well trimmed, with no hoof oil. 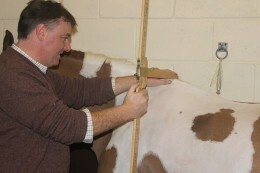 An appointment needs to be booked for the horse or pony to be measured. We require the passport name and microchip number at this point. You should visit the JMB website prior to making an appointment with us as they require payment before we can measure the horse or pony. The JMB will provide you with an 8 digit code which we need in order to process your measurement application. For further information contact the JMB www.thejmbonline.co.uk or the clinic to make an appointment.